This article is an overview of the most important improvements for release v.16. For a list of new objects, fields and visualforce pages that were added in this release, please go to this article. Since Release 15 was a minor release and was only installed on a couple of orgs, Release 16 will also push all improvements and changes from Release 15 to your org. For more information please read the release notes from Release 15. For more details on the Lightning release, visit our Bullhorn Connexys Lightning page. This release contains improvements for both Classic and Lightning, but the changes listed here are Lightning specific changes. To correctly show the translations for picklist values in the Proposal Portal you need to make sure to update the Picklist Translation Table whenever a new (multi select) picklist field is created or if there is a change in the translations. The changes made will not be recognized if this is not done. To add the translation for the picklist, you need to go to the Salesforce Setup > search for Translate > Click on Translate > Select the language you want to add translations for > Select Picklist value > Select Proposal object > add the translation for the values and save. Go to the Connexys (Resource Manager) Setup > Lightning picklist values > Click on the button "Refresh picklist values". To find the correct Visualforce URL you'll need to navigate to the Connexys Setup page where you'll see Visualforce Url box. This box contains the correct URL. 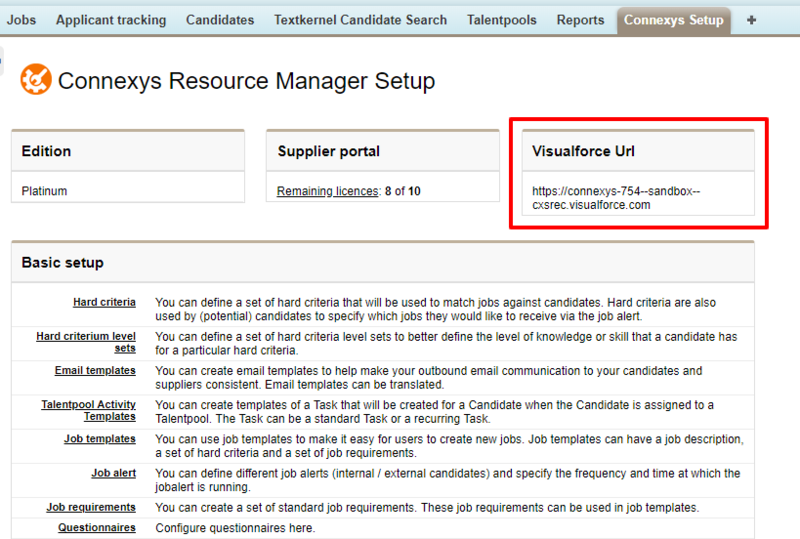 Copy the URL and paste it in the application setting Host URL of Visualforce pages in a current SF org(Connexys Setup > Application settings > All settings > General).